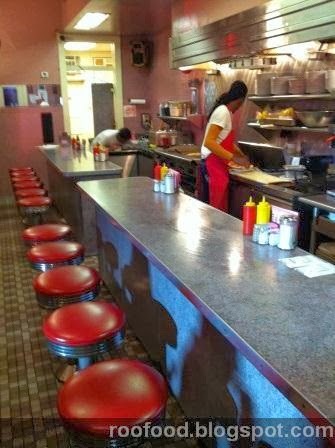 After a few drinks one night we were in search of some more eating....and what better way than to end the night at a 24/7 diner. We find Clover Grill and it's empty (due to a very recent incident where someone was 'asked' to leave and they ended up smashing their head on the pavement outside and we got to watch the whole drunken man v's medics fiasco. Entertaining to say the least! We score a booth where we can watch the action behind the counter. 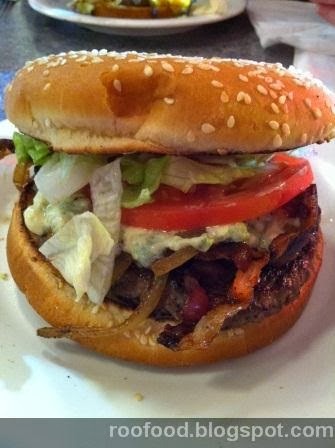 My taste buds are watering over the bacon blue cheese burger. Beef patty juicy and so tender topped with lettuce, tomato, bacon and blue cheese which oozes through the whole burger. At 12.30 at night this hits the spot 100% - very close to coming to one of those 'I need a moment to myself' moments! 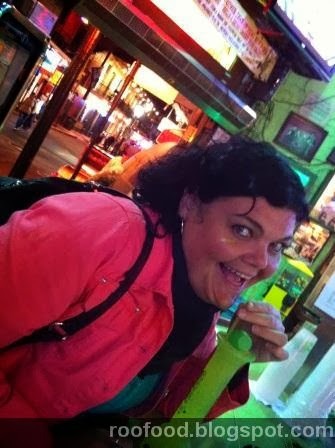 We actually didn't spent to much time on Bourbon Street drinking. We did wander up and down choosing a couple of bars to check out. 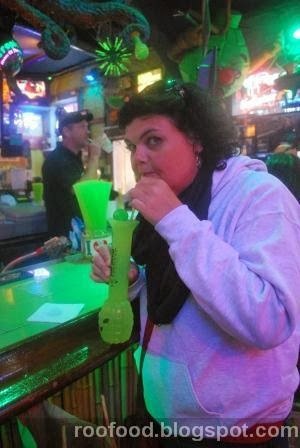 I did indulge in the (in)famous hand grenades. You can purchase these babies from Tropical Isle. 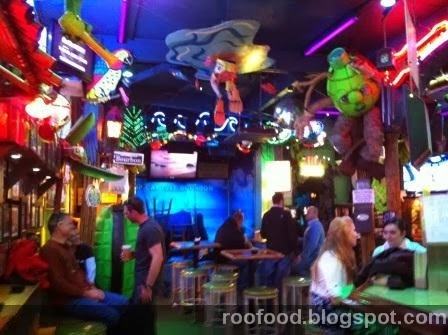 There are a few Tropical Isle (or Funky Pirate) bars dotted along Bourbon St and once you have your hand grenade you can just pay for a refill. 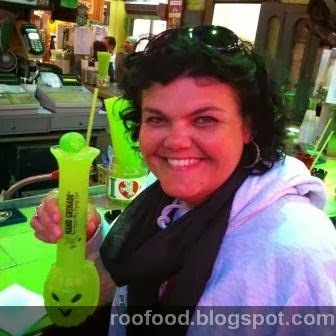 Hand Grenade - they are the bomb! These drinks even come with their own drinking guide! Drink #1 - Will lift your spirits and make you happy! Drink #2 - Will give you a nice buzz. Drink #3 - Will result in complete loss of your inhibitions. 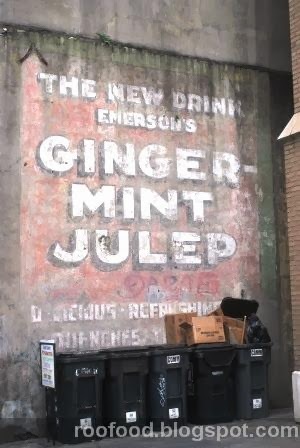 Drink #4 - Will cause you to dance in the streets. Females may be prompted to “Flash” for Beads. Drink #5 - You’re On Your Own! We don’t recommend Drinking 5! Further wandering during the day turned up some absolutely wonderful little boutique food stores. 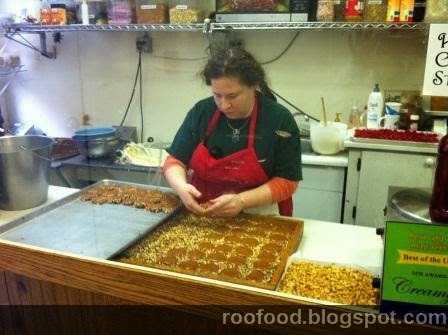 and the best bit...you can watch these candies being made. 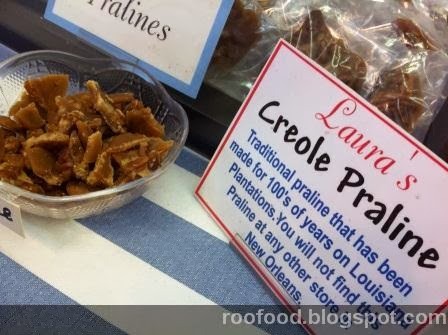 For research and comparison we ducked into Laura's praline. 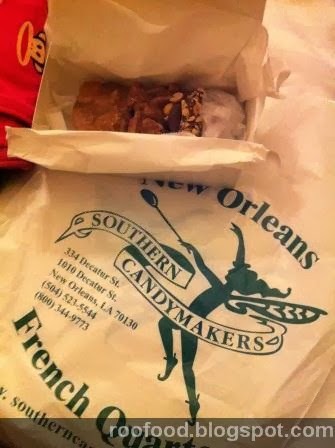 I will admit that I preferred Southern Candymakers pralines. These were more sugary and crystallised. 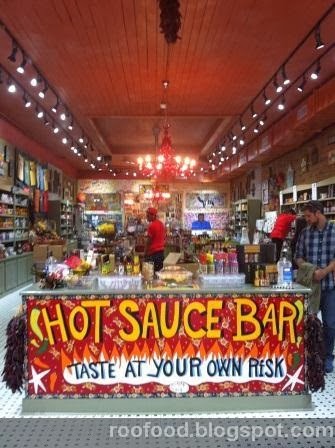 Best hot sauce bar in town!!!! 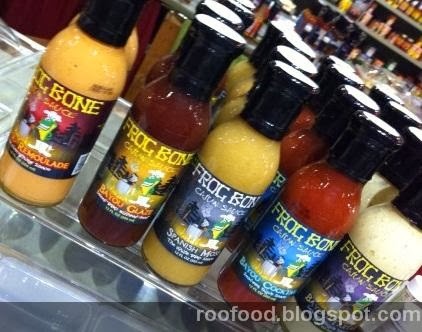 Taste test to your heart's (or is that heat levels?) content. Just start at the front and work your way around. There are hundreds of different brands to sample. 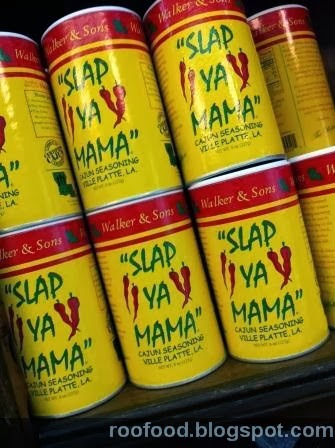 'slap ya mama' good stuff! 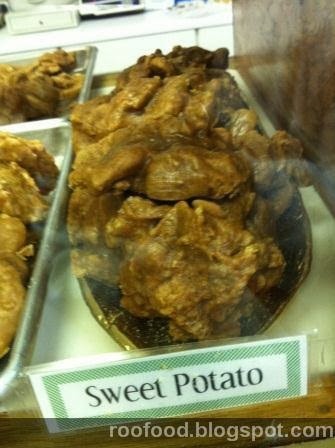 This has to be one of the weirdest findings on the shelves. 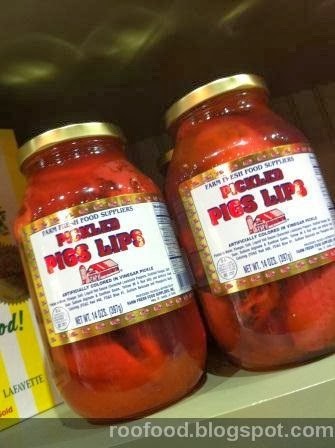 Saying that, I was disappointed I couldn't taste test these.. Pickled pigs lips. 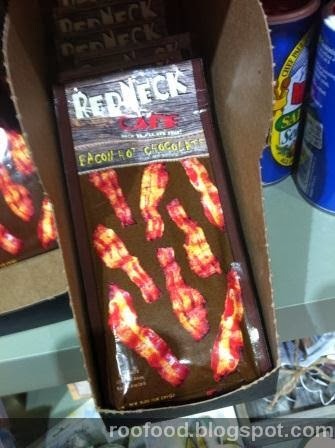 REDNECK BACON HOT CHOCOLATE - yep I had to. Mixing two favourite ingredients...I'll let you know when I taste it! 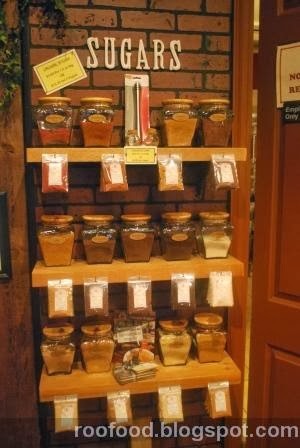 The Spice and Tea Exchange is a charming little store selling well, herbs and spices. 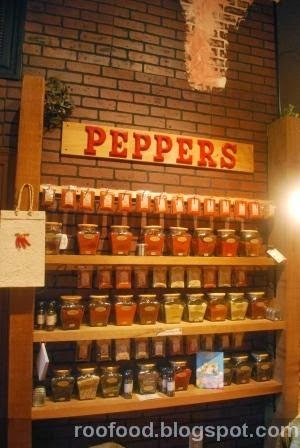 But not only that, they do a range of gourmet peppers, flavoured salts and sugars. Secret house blends and lovingly made. 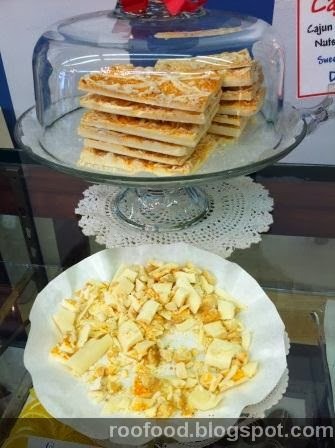 We spent quite some time in store sampling the product. 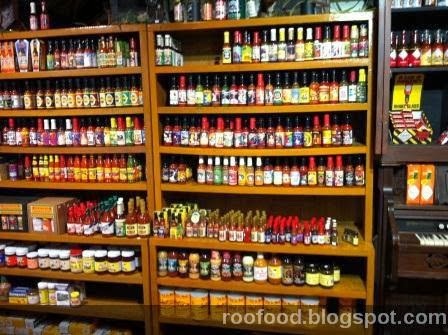 Well displayed, fresh and the owner is very friendly and informative. 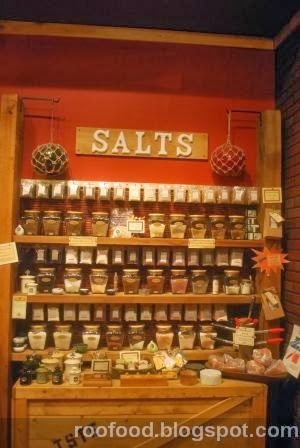 I bought bacon salt, habenero sugar, salted caramel sugar. 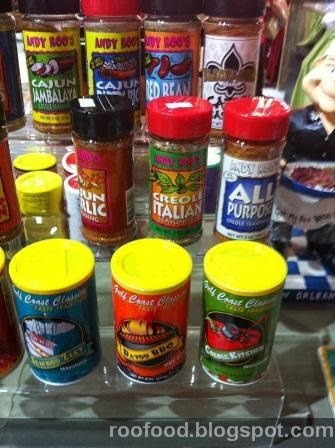 Great for rims of glasses, by the teaspoon or sprinkled on any dish! So versatile! 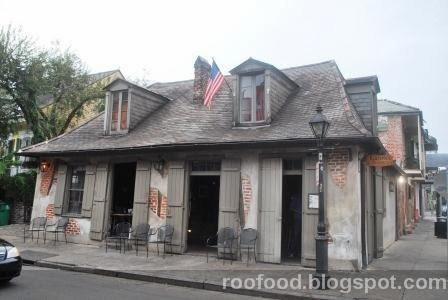 Lafitte's Blacksmith Shop is the oldest pub in town. 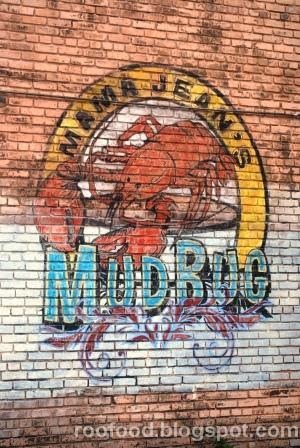 Loving some of the foodie related signage/murals around town. 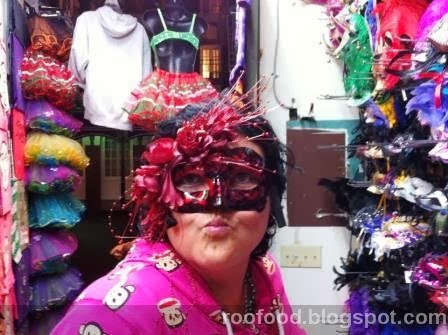 and you can't pass up trying on some masks..... perfect for the next Masquerade Ball or Mardi Gras!